As a church-planter’s wife, I have the privilege of leading a weekly Women’s Bible Study group. Walking with these women through life has taught me a great deal about Christian women in general. Most of us would agree that we need more time in God’s Word. Most of us would also agree that we face many obstacles – time, desire, the know-how, and so forth. I believe Christian women desire to study the Bible, but many just don’t know where to start! And let’s be honest, not all Bible study resources are worthwhile. That’s why I want to wrap up the Benefits of Bible Study series with a list of Bible Study Resources that we have used and loved. These are trusted resources for everyone, from beginners to experienced believers. 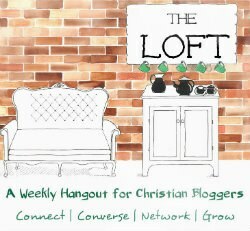 We have used these tools personally, as well as with our Bible study groups. 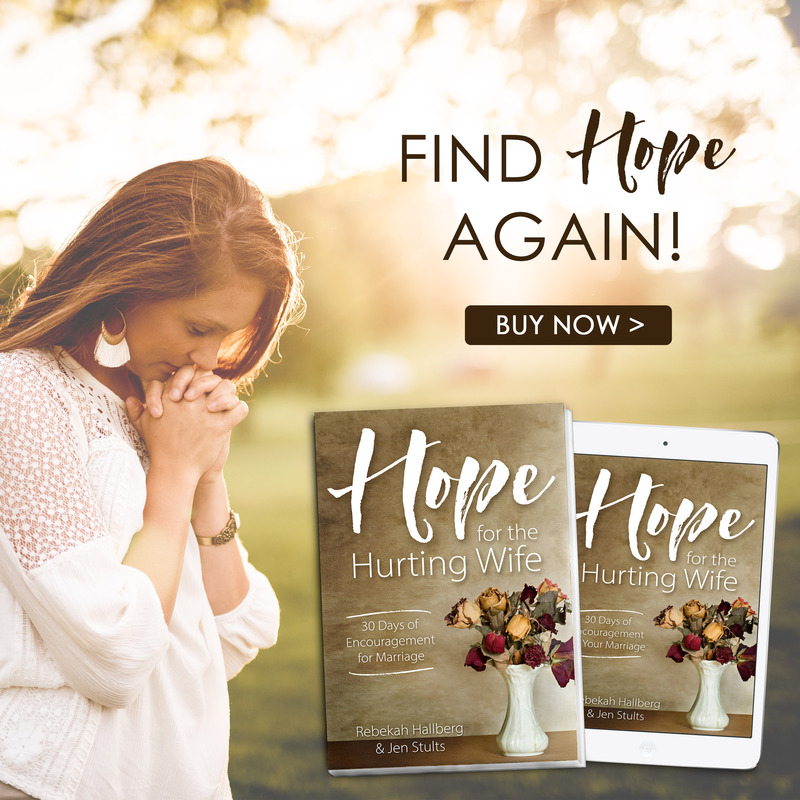 My first introduction to this series came from Katie Orr herself when she spoke at our state women’s conference a few years ago. Each of Katie’s sessions were rich with the Word, and I loved her idea of real, focused Bible study that only takes 15 minutes a day. It’s perfect for busy women! This past year, I took a group of women through her study Everyday Obedience, and we all enjoyed the grace-filled approach. And as a woman who struggles with perfectionism, this study was a perfect follow-up after finishing my own book manuscript – Being Confident of This. You can also find a lot of free Bible study resources at her website! If you have ever used the excuse that you don’t have the resources for “real” Bible study, then this is the site for you! Blue Letter Bible is a website similar to Bible Gateway and Bible Hub that is useful for studying God’s Word when you don’t have tools like concordances, dictionaries, and parallel Bibles at home (and to be honest, even if you have those resources, using Blue Letter Bible is quick and easy). If you want to know what the Bible says about a particular subject, just type it in the search bar. You can also look up a verse and, using the “tools” button, you get instant access to an Interlinear Bible (useful for keyword study), a Bibles tab that contains many different translations for parallel reading, a dictionary tab, etc. Basically, this FREE website is a one-stop-shop for excellent Bible study, and is easy to learn to use by following online tutorials. 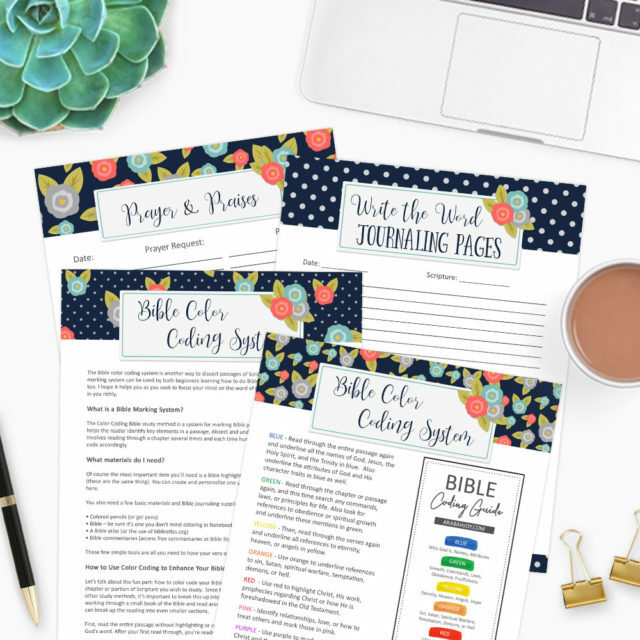 I use blueletterbible.org in my daily quiet time, to prepare Bible study lessons or talks for speaking engagements, and to teach our church members how to study the Bible, too! There’s also an app version available, but many of our ladies have found the app to be a bit finicky. So, I tend to stick with the desktop version (which you can still access on your phone)! Friend, has your Bible time felt sluggish lately? Do you ever read the Word and walk away wondering if you got anything from it? We use this course at our church plant because we realize that not every Christian enjoys studying the Bible in the same way. Arabah Joy’s course covers more intellectual, in-depth Bible Study Methods like root word/keyword study, topical Bible study, etc. However, she also explains how to do less time-consuming methods of study, like verse-mapping (my new favorite) and even methods of study that involve more worship, like her TASTE method. If you are a Christian woman who has struggled with the desire to study the Bible for yourself, I highly recommend this course. Why? 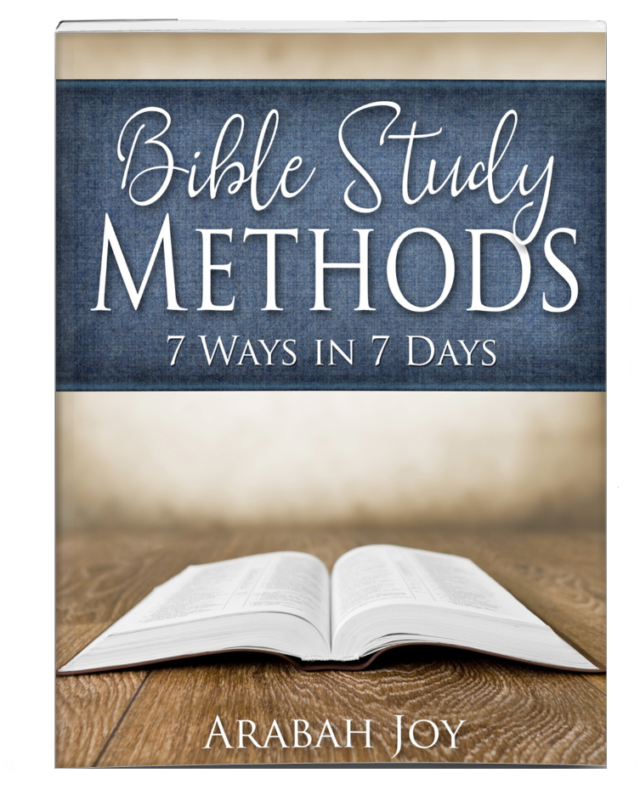 Because when you know several different Bible study methods, you can vary the ones that you use, which keeps Bible study fresh! I, myself, am a creature of habit who loves drawing deeper connections, so I thrive on word and topical studies. Through the Bible Study Methods course, I realized I often neglect the aspect of worship during my Bible study time, as well. I find it difficult to be still before the Lord. I needed that push to learn new ways of connecting to God’s Word. the teaching videos teach new methods step-by-step – helpful for beginners! Surprisingly, many Christians have never studied the Bible chronologically. I’ll save the reasons why for another time, but if you’ve never studied the Bible chronologically, you should! I grew up in a Christian home with parents who valued God’s Word. They were faithful to take me to church and provide opportunities for discipleship. Nevertheless, I failed to fully understand certain foundational truths until I read this book. I’ll never forget how my eyes were opened to God’s plan from the very beginning. I’m still amazed at the symbolism of the tabernacle and events surrounding Jesus’ crucifixion! Friend, do you know the tri-fold significance of Jesus’ dying words, “It is finished”? If not, you should. If I could only recommend ONE book in my lifetime (aside from the Bible itself), The Stranger on the Road to Emmaus by John Cross would be it. It teaches us how to study the Bible by giving us the firm foundation we need in order to comprehend the rest of Scripture! 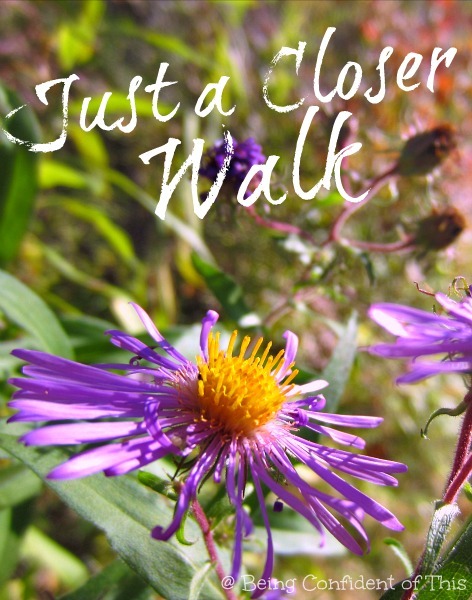 I’ve walked through this book with a variety of women – from the unsaved to mature believers. Honestly, I could go on and on about this particular resource. I wish I could give one to every person I meet! In fact, as a follow-up to the Benefits of Bible Study series, I will be hosting my first ever online Bible study group using The Stranger on the Road to Emmaus. If you’d like more details, be sure to sign-up for updates in the form below. You can also learn more by following along on the BCOT facebook page. We are limiting this group to the first 25 women to sign up, so don’t miss out! Friend, the Word of God is so essential to our Christian growth. I pray you’ll take time this week to grow in the knowledge of the Word! 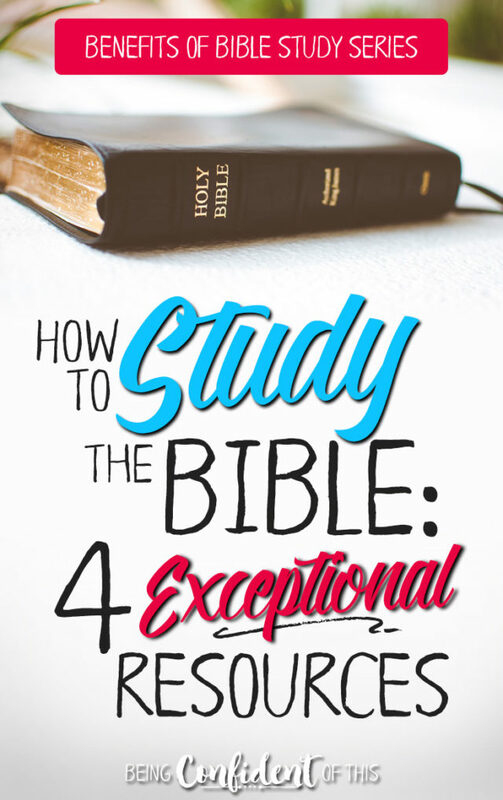 Do you have a favorite resource for learning how to study the Bible? Feel free to share with us in the comments below! 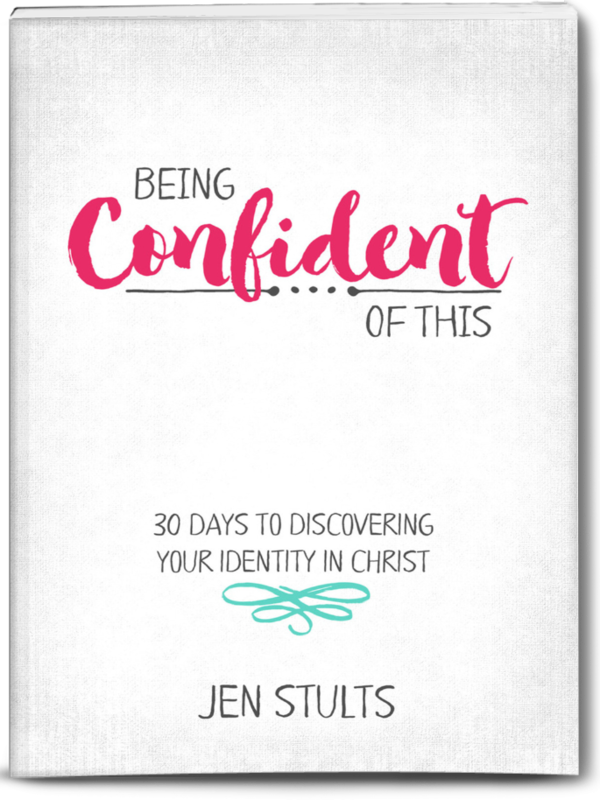 Most Christian women have heard of the importance of regular Bible study, yet many fail to see the Bible as the powerful weapon and tool it is described as in Scripture. 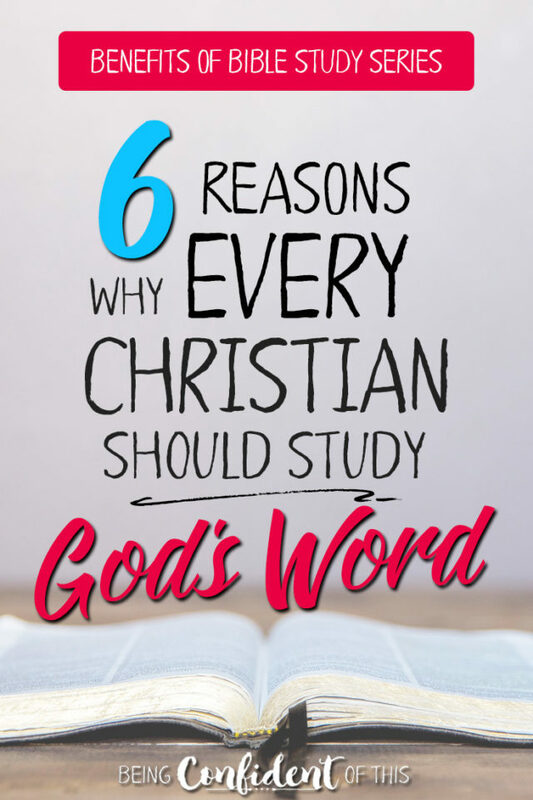 Some are simply unaware of the many benefits of studying God’s Word! I see it all too often in my own life, and in the lives of others – we tend to rely on our own wisdom and the wisdom or advice of others more so than we do God’s Word. But I’m frequently guilty of problem-solving on my own, and I’m sure you are, too, friend, because that’s human nature. I can’t tell you how many times women have sat across from me, often in tears, relating a personal problem or issue they’re struggling with. Yet when asked, they can’t tell me what the Bible says about their problem, or even if they can tell me what the Bible says, they admit doubting it’s truth. And I can relate because I’ve had that same struggle between knowing what is true and believing what is true myself! If we want to experience confident faith and abundant life, then we must be more than just “familiar” with the Bible. The more time we spend in the Word, the more opportunity we have to grow in Christ, the easier it becomes to trust not only God’s character, but His very Word! The Bible is clear that scripture is living and active, friend (Hebrews 4:12), a powerful tool in the life of Christ-followers, so why do we so easily lay it aside? 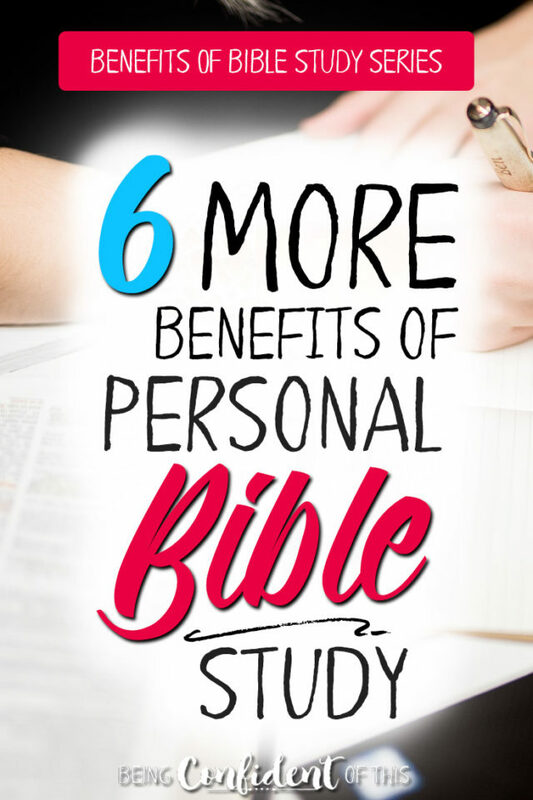 **If you missed the original Benefits of Bible Study posts, you can read about why you need to study God’s Word for yourself here and then read first 5 promising benefits of personal study here. 6. One of the most important benefits of studying God’s Word is that it gives us life (both spiritual AND physical)! 7. Studying God’s Word also helps us to grow in faith and in Christ-likeness. If faith comes from hearing the Word of God, then it follows that the more we hear it, the more likely our faith is to grow (obviously there are exceptions to this – it all depends on our heart condition and how receptive we are to the Word). When we are new in Christ, we are like spiritual babies who need spiritual milk to grow and flourish, but as we grow, we need solid food – deeper spiritual truths (as mentioned in Heb. 5:12-13). Whether mature or immature, our spiritual growth relies on us taking in the nourishment we need consistently! 8. Another benefit of studying God’s Word is that as we mature, we can lead others in truth, too! As Christ’s ambassadors here on this Earth, we have a responsibility to share the truth with others, but we must be careful to do so in a God-honoring way. We cannot correctly handle God’s Word or train others (including our own children) if we don’t rightly understand His Word for ourselves. This is one reason why personal Bible study is essential in the life of Christian women! 9. Studying the Word also helps us to fight spiritual battles and experience victory! As Christian women, the Bible is clear that we will face both temptation to sin and accusations from the Enemy. And don’t we know it, friend? But the Word is equally clear that we have a weapon to use in our defense – God’s truth! As part of our spiritual armor, we’ve been given a weapon – the sword of the Spirit – which is used not only to defend ourselves, but also to fight back! Let’s follow the example of Christ. Let’s study the Word so that we know the best verses to use to combat the Enemy’s lies and accusations. 10. The Bible gives us peace and hope. One additional benefit of studying God’s Word is that we experience hope and peace that are beyond worldly explanation. Is your life full of chaos? Spend time in the Word. Does all hope seem lost? Run to the Word. You will find in the Bible a special comfort that you cannot find in this world, friend! 11. Finally, spending time studying God’s Word helps us produce spiritual fruit. What Christian woman doesn’t want to yield more spiritual fruit? We can all use more patience, more joy, more peace, more kindness, right? When we delight in God’s law (Old Testament reference to Scripture), when we study it by meditating on it and memorizing it, we bear fruit that we cannot possibly bear on our own. We prosper! And in doing so, we bring much glory to the Father. Friend, please don’t neglect the potential power of God’s Word in your life. It’s immeasurable and indescribable. Time spent in the Bible is time well-spent. 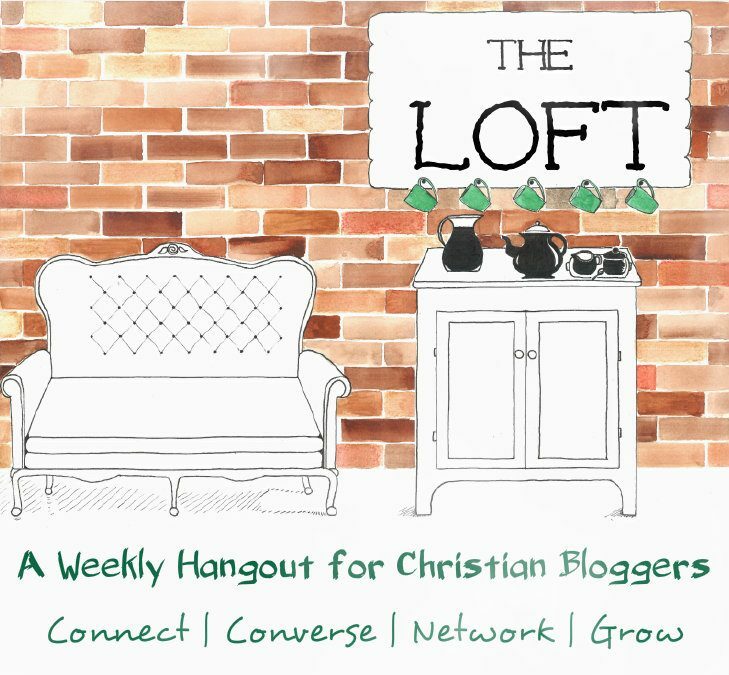 Just consider the many benefits we’ve discussed in the Benefits of Bible Study series! Next week we’ll be wrapping up this series with some of my favorite tools for excellent Bible study – resources that will help you make the most of your time spent in the Word! Until then, take a few minutes to meditate on God’s Word today, won’t you?